Fill out the form below and someone from our team will reach out to you shortly. All Seasons Escrow has been business in the city of Carlsbad since 2002. Licensed under the Department of Corporations, we are one of the few independent escrow companies left in North San Diego County. Which means we are not operated by a Real Estate office or a Title Insurance company. 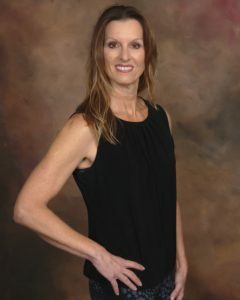 Maxine Kania First started in escrow in 1988 with First American Title in Roseville, CA. Living in Carlsbad since 1993. Happily married with 4 grown children and 2 grandchildren. Love of travelling has led to many explorations to Hawaii, Mexico and the Caribbean. Favorite things to do at home are gardening and spoiling my two grandbabies! 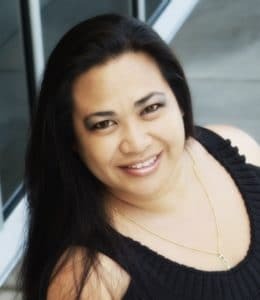 Shelly Garibay is the Manager of All Seasons Escrow, and has been in the escrow business since 1993. 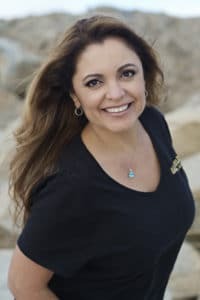 She held 2nd vice president position for two years in a row for the North County Escrow Association and Secretary for the North County Chapter of NAHREP. Shelly enjoys being involved in the community and finding new hiking areas with her husband, and dog Zeus. Bilingual in Spanish, and specializing in new home sales, re-sales, short sales, foreclosures, REOs and refinance transactions, Shelly is ready to assist you with all your escrow, and it’s notary needs. Nicole is set up Mass Impressions in 2007. A highly talented designer and all-round creative, his aim has always been to produce great work for great clients and make the process as enjoyable, straight forward. Trisha McClinton has over 20 years of experience in the Escrow industry, having worked extensively with Refi’s and Reverse Mortgages. Customer Services is a high priority with Trisha and it reflects in her work as well as with her all of her Clients escrow needs. Over the years, we’ve earned the trust of both brokers and principals as specialists in commercial transactions. All Seasons Escrow offers Licensed Notary Public Services within the State of California. We can perform an “official notarial act” any document throughout the escrow process relating to your escrow transaction as well as other documents. Our notaries hold a bond sufficient to fulfill the requirements of the State of California and have passed a Department of Justice background investigation. Please contact our staff at All Seasons Escrow for all of your notary needs. A refinance replaces an existing mortgage or loan with a new loan on your home or rental property. The purpose of the new loan may be for consolidate debit, secure better loan terms (interest rate or terms & conditions) or withdraw equity. Refinancing a loan involves obtaining a new loan, paying off existing loan(s) with the new loan proceeds. Your property serves as collateral for the new loan. A seasoned Escrow Officer makes your refinance run smoothly by problem solving and managing the timing of the escrow. Our Escrow Team understands the need for creative thinking and has the ability to meet deadlines. When it’s time to refinance, remember All Seasons Escrow will represent your best interests.